The tricky thing about being a writer, or about being any kind of artist, is that in addition to making art you also have to make a living. My short stories and novels have always filled my life with meaning, but, at least in the first decade of my career, they were no more capable of supporting me than my dog was. But part of what I love about novels and dogs is that they are so beautifully oblivious to economic concerns. We serve them, and in return they thrive. It isn't their responsibility to figure out where the rent is coming from. I like the opening a lot, but I'm not quite sure I haven't been compelled to pick this one up. Beth F - I can easily see this becoming a nonfiction audio favorite for 2014. Harvee - Me, too - these essays are excellent. I enjoyed the introduction. This sound great. 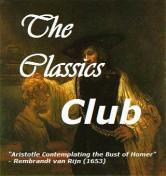 I've added it to my To Read list and will look forward to your review. Pat - This book reminds me how much I love nonfiction. Catherine - Ann Patchett is one of my favorites. Oohh yes! I'd like to get this on audio too. It sounds fabulous. Trish - I think audio is the way to go with this one! Laurel-Rain Snow- I think you'll love it! I am not an Ann Patchett fan! Gautami - Aww, sorry to hear it. Have you read her nonfiction? Excellent beginning. It sounds very good. Yvonne - I'm loving this book! I love Ann Patchett, but have only read her fiction - I am intrigued by her nonfiction and would definitely keep reading. Am adding this to my TBR list. Sarah - I highly recommend her nonfiction. I kind of agree with this quote! Yes , I would continue. It drew me in right away. Pam - This is a wonderfully diverse collection! I'm hoping to read The State of Wonder in the next couple months. I haven't read anything by this author, but I do want to. Literary Feline - I listened to State of Wonder (loved it! ), but have read all the others. I have not read her before, but love non-fiction from writers telling us about writing (reminds me of Stephen King: On writing), She seems to be able to talk to her readers in a down-to-earth way and she's won me over straight away. Peggy - I am reminded of Stephen King in this first essay, too. You get even more of that talking to the reader feeling if you listen to her read the audio version. My Patchett reading is limited, but I've really liked her nonfiction I've read so far and probably more than the one novel I've read! I'll get to this one for sure. Andi - I've read all of her books and tend to agree that nonfiction might be her stronger suit. I haven't read a whole book of Patchett - only pieces. I definitely like the first paragraph of this one. She sounds as if she's just chatting. Margot - That feeling comes across very strongly in the audio version. That's a great setup for a page turning read, I'd keep reading - thanks for joining us today. Diane - I think you'd enjoy this one, especially the audio version. Les - I think you'd love this... audio is definitely the way to go! So many great essays in this one! I had the same reaction - need to read more essays. Lisa - Do you have other collections in mind? I'm not sure where to start. Interesting first paragraph. I'd like to continue listening. The cover design is also very pleasing. And, I like to listen to an author reading her own book. Arti - She does an excellent job narrating this book! I'd totally read this! She is such a good author. In fact I'm going to see if I can find it on audio right now. Sandy - She is a very engaging reader, too. Hope you can find a copy. Paulita - You might feel differently about these essays! 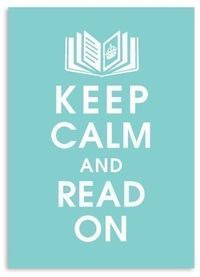 Yes, I would keep on reading. 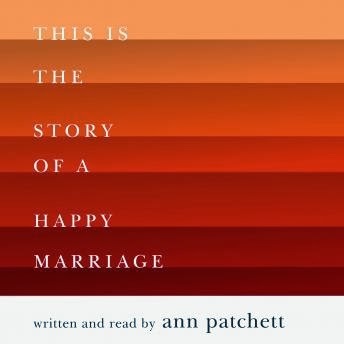 I am not a fan of short stories or essays but I would like to read this book as I have heard good things about it and am a fan of Ann Patchett. And I love that she owns a book store! Sunday Taylor - I would love to visit Nashville one day just to shop at her bookstore! I have read her fiction. Every year I tell myself to read more non-fiction, but never listen to me! Nise' - LOL, I do the same thing. This year I'm shooting for one nonfiction book per month. What's not to love? It's Ann Patchett. I would definitely continue. Enjoy her wonderful essays! Pooch - Thanks! They are excellent. While I do love several of her novels, this opening, not so much. I think a lot of authors reach a level of success where they can publish all sorts of anthologies (essays and stories) what will find lots of readers now that wouldn't have found many otherwise. But I will keep an open mind if you publish a full review later on. James - I've been reading her novels since the 90's, but never realized she was steadily publishing essays, too. The essay this intro is from will not be my favorite in the collection, but I'm pretty impressed with the range of topics she has included. Like you, I have read all of her work. I thought I devour this one as soon as I got it home. But I haven't gotten much past the first few pages. Not that I don't like it. Just don't seem to be ready for it yet. 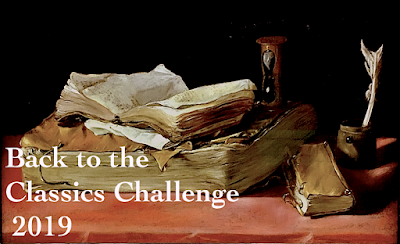 Thomas - The first essay is the obligatory "advice for would-be writers" and not the best in the collection. I'm sure you'll enjoy this when the time is right. Have read only one, but am very interested in this book. And I love the passage you posted. Nan - I'm loving this collection and appreciating the diversity of topics. I love Patchett! This one is sitting at the top of my TBR list. Melissa - I'm sure you will enjoy this one! I'm glad you've enjoyed this author so much. It's great when an author's work is so dependably good. I really like the intro paragraph. I'd like to give this one a try. Margot - Now that I've finished, I highly recommend this book!